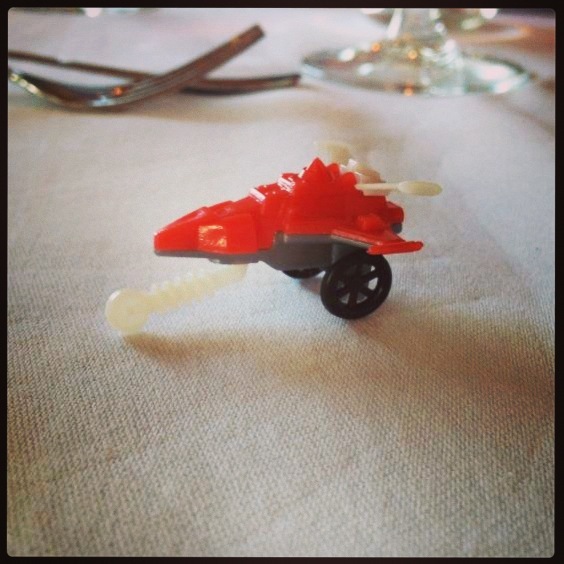 Last year’s Christmas cracker toy – a spaceship on cartwheels with an unidentified frontal appendage – is best described as ‘unexplained’. So it’s Christmas again, with the ruthless predictability for which the calendar is notorious. I got down the decorations from the attic this afternoon, in the usual shower of dust, lagging and swearing. Well, most of the decorations, anyway. We got lazy with the nativity crib and it’s been left out in the living room for two years. We tell surprised visitors that it’s a ‘pan-seasonal Bethlehem diorama’. The usual parade of shameless cash-ins are all reporting for duty. A James Bond 007 cologne is advertised in this week’s Guardian, described by GQ as “the most dangerously sophisticated fragrance in the world.” This seems a bit of a stretch for a product based on what is, effectively, a comic-book superhero. And in any event, I’ve seen the movies. I imagine that James Bond smells of sweat and cordite most of the time. And I never see him brush his teeth. If you fancy giving a loved one a religiously-themed present, a number of companies have been excelling themselves in the ill-conceived ideas department. Products designed by people born tragically without taste this year include a ‘Let My People Go’ Moses toilet seat cover, a dog nativity set and a ‘Jesus Is My Gymnastics Coach‘ plastic figurine. All of which are almost as inappropriate as alleviating your boredom in church by pretending that they’re singing about you. Now that booting up my Toshiba laptop requires three weeks’ notice and a jump-start from the car, I’m hoping for a Macbook for Christmas. I intend to arrange this by asking Wifey for something unimaginably expensive like a Patek Philippe watch, a yacht or a new spleen ‘for cosmetic reasons’. Then I can negotiate her down to a Macbook and she’ll think she’s winning. Macbook owners, I am told, generally do not need to rely on the power of prayer if they wish to access the internet. For Christians, it’s a tempting time to complain about how the ‘reason for the season’ has submerged beneath a rising tide of boiling, frothing commercialism. However, this is something we usually do while simultaneously buying shed-loads of presents to indulge the kids we love (thus inadvertently imbuing them with the same consumerism of which we have grown tired – and the circle of life goes on). There’s truth in the increased secularisation and over-consumerism of Christmas. Of course there is. We all recognise that. Some people were trying to spread the cost of Christmas this year by starting their shopping four months early, in September. But what might be more interesting than mourning the evolution of the modern Christmas into a festival of present-buying and “er, well it’s about family, yeah, and being nice to people for a bit, right?” is to ask whether it really is as ‘unchristian’ as many of us often think it is. If we truly believe that the God we worship exists, then we don’t need to feel marginalised by people participating in our celebration without believing in the reason for it. Instead, we could have the confidence to look for the opportunities this social oddity represents. You see, if we complain too much about Christmas becoming a popular festival rather than a Christian celebration we take ourselves down a wintery mental cul-de-sac. The startling thing is that not only does God like Christmas, but He wants to see more of it. All the positive things about it – the focus on giving to each other, spending time with each other, the sense of hope, the random goodwill to strangers (charity donations rise at Christmas) – are what God wants to see all year round. Christmas – even in its current Western format – is a fleeting glimpse of what Jesus was talking about when he described the Kingdom of Heaven. Christmas is an opportunity to describe the Kingdom of Heaven to people who don’t know what Jesus was on about, more vividly than any ivory tower-dwelling theologian could. Jesus described a way to live and see the world where people give freely to each other, forgive each other, think more inclusively and commit random acts of goodness against people they don’t know. It is a way to live that is underpinned by the electricity of hope. It is way to live where the same indefatigable spirit that drives a person through the misery of the High Street on Christmas Eve to buy gifts is deployed every day to fight suffering in the world. From God’s perspective, Christmas may have lost less Christianity than many of us think it has. Instead, maybe it gives us a brief and partial insight into the world that we, as Christians, are supposed to be trying to cultivate for the other 11 months of the year. 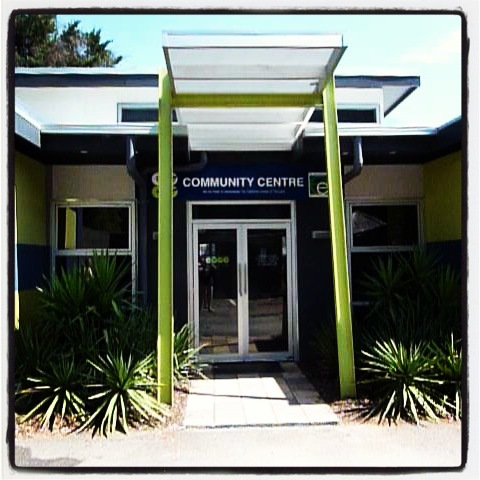 Yes, this is the Community Centre in Neighbours. Yes, we did go on the set tour. Yes, it is as underwhelming as you’d expect if you haven’t seen the show in 15 years. To be honest, until this madcap gambit of insanity was underway, I hadn’t realised how unsettling it was going to be. I hadn’t noticed that I had tended to stick to a particular part of the hall, like a little religious rabbit, happy in my habitat. But once I’d crossed over to The Other Side, I realised that everybody tends to stick to the same necks of the church wood. In fact, some of us have developed a herding instinct, seeking out and joining safe groups of associates. I’m not sure what it is we’re afraid of. Maybe the weekly request of the worship leaders for us to ‘put up our hands’ is being misinterpreted as an attempted large-scale mugging. But then some friends arrived. I safely joined their pack, and balance was restored. They had little ones with them too, so I was definitely safe from whatever imaginary predator might appear, as I could certainly run faster than them. This led me to reflect on what’s going on here. It’s possible that social awkwardness plays a role (see a previous blog post on this), and presumably part of the discomfort of moving to a new part of the congregation is the horror that this could involve meeting people. But there must be more to it than that, because everybody’s at it. Take the Smiley Christians, the ones with warm handshakes and easy conversation who make people feel like they’re joining a loving family (rather than my particular brand of nervous feet-shuffling and stilted conversation that makes people feel like they’re joining a Ponzi scheme). The Smiley Christians also set their towels down on their favourite sun-loungers (not literally, of course – though that would be an amazing church). The reality is that we are all creatures of routine. We like to do certain things at certain times, go to certain places, and do certain things in certain ways. And this is fine – it gives us structure. The world is complicated enough without making it deliberately unsettling all the time. The 33 trapped Chilean miners set up a system of routines for their time underground. Routine is one of the things that gets people through hard times. But experimentation is good too. Because actually, if we think about it, many of us tend to sit in the same place in church metaphorically too. We go to the same types of church activities, we play the same roles in the church machine, we associate with the same people. And if we stick too closely to our routines, we miss out on meeting new people who might just have something important for us. Or discovering new gifts or talents, or new ways to look at the Bible or our lives. Sometimes we find ourselves praying the same prayer again and again without hearing an answer. God doesn’t seem to be listening. Maybe, sometimes, it’s because the answer already exists somewhere in our church. Maybe someone’s got it, or there’s an activity or a team to join that will show you the answer. If you don’t get out there, increasing the opportunities to find out new things, you’ll never get it. Jesus wants us to do this – part of being a Christian is living in community. Not just the community we feel comfortable with, not just those we like sitting near – but everybody. All Christians. Next week I might mix it up by sitting amongst the worship band. Or that might be taking it too far. The Walking Dead is back on TV and things have all gone a bit zombie-tastic. Zombies are trendy. If you haven’t seen the show, it’s hard to get too involved as the principal character is played by that bloke who was in Teachers and Love Actually. This is almost as distracting as trying to get Stupid Prince George from Blackadder out of your head while watching Hugh Laurie in House. The current zombie craze comes after several years of vampirey things (driven, chiefly, by nauseating lovestruck teenage vampires that would have made Bram Stoker, er, turn in his grave). Vampirey things, in turn, replaced space alien things. But not to worry, because Halloween is upon us, and various mega-corporations would like to offer us the opportunity to give them all our money in exchange for costumes resembling all three. A spate of inappropriate ones this year included a zombie Jimmy Savile on Amazon – a judgement call that’s even less sound than the cinnamon-flavour ‘Sin-O-Mints’ sweeties (“for the sinner in you”) I found on sale in the Chester Cathedral gift shop recently. Or approaching police officers on Halloween night and complimenting them on their costumes. One of the most irritating aspects of Halloween in our household is trick-or-treating, as we never remember to plan ahead. Any visiting kids, therefore, run the risk of receiving things we have randomly lying around the hallway. You should see how their little faces light up when they’re presented with a British Gas ‘We Called And You Weren’t In‘ card, half a pack of chewing gum or a Co-op receipt. This year they might be in luck – we’ve got a whole box of mushrooms in the fridge that we’re never going to get through. Although it’s also tempting to try to resolve two problems in one go, by giving them the empty milk cartons sitting by the door waiting to go out to the recycling bin. I’m not a fan of Halloween, being the sort of person who would rather have a nice cup of tea. But Christian criticism of Halloween has the feel of targeting the symptom rather than the cause. Halloween merely reflects our society. Increasingly vivid themes reflect our rising tolerance of disturbing imagery and ease of access to it. Criminal damage fears associated with trick-or-treating reflect the general rise in anti-social behaviour. And there is something not-completely-helpful about Christians issuing dire warnings of the spiritual dangers of ‘celebrating’ Halloween. I’m not sure it fully stacks up that donning a ghost costume and bobbing for apples ‘celebrates evil’ any more than a pirate-themed birthday party promotes maritime insecurity. There’s a sociological and theological debate to be had there. The more pressing issue is the irony that by making claims that Halloween is a slippery slope to the occult, or a giant battery fuelling demonic activity, we are peddling fear ourselves. If we truly believe that Jesus short-circuited evil’s chances of ultimate success 2000 years ago, then we don’t need to feel threatened by Halloween. We have the luxury of being able to sit back and think more creatively about how we handle this festival. Halloween is one of the few calendar events which (through trick-or-treating) includes a mechanism for interacting with our neighbours. In our increasingly isolated society (in which 1 in 10 people are lonely), we could see this as an opportunity. Similarly, Halloween is a festival which draws attention to the supernatural. If we genuinely believe in the supernatural, and that God does supernatural things, Halloween gives us a platform. Thirdly, Halloween creates an environment to talk about belief. 42% of Britons believe in ghosts, but only 31% believe in God (18% with doubts). If the tension here isn’t stark enough, 52% believe that the government has covered up the existence of aliens. This is a space in which to start dialogue. So a more exciting idea is to subvert Halloween. Dress as angels and, while others are trick-or-treating, go door-to-door giving gifts. On the morning after, collect all the unwanted (and soon to be disposed) pumpkins up from neighbours and make a shedload of nutritious pumpkin soup for those in the community who don’t have so much to eat. Consider running a church healing service on or around Halloween. Take the opportunity to start conversations about belief. In the horror movies, the guy who stands around complaining and lecturing everybody is often one of the first to get squished. Nobody likes him. But we do like the movies where the good guys win, and the good guys win because they roll up their sleeves and get stuck in. They take opportunities. They inspire others. They chase out fear. They give hope. They take action. Jesus calls us to be the good guys in our communities. He calls us to be the last to criticise and the first to help. So let’s not stand around uselessly – like Christian zombies. The BBC seems to use a somewhat wider definition of ‘news’ to me. I, no doubt like many other viewers, was somewhat surprised to find that the BBC’s premier late-night political show, Newsnight, interviewed the Cookie Monster from Sesame Street this week. I’m not making this up, this really happened. Don’t get me wrong – I was genuinely intrigued to hear the deep political ruminations of a blue puppet with a biscuit fixation. I didn’t hear them, of course. Because it’s a puppet. The BBC’s spindly news-sniffing appendages did however manage to crawl across a interesting fact-ette a few weeks ago, revealing that a German company manufactures a $9000 toilet. It’s a struggle to identify which device it is that’s worth more than my university education – a quick trip to the Grohe website reveals that their toilets (or ‘WC solutions’ as they somewhat threateningly call them) do not have prices listed. Elsewhere, a set of taps alone are on sale for nearly $2000, which is more than the cost of my entire bathroom. 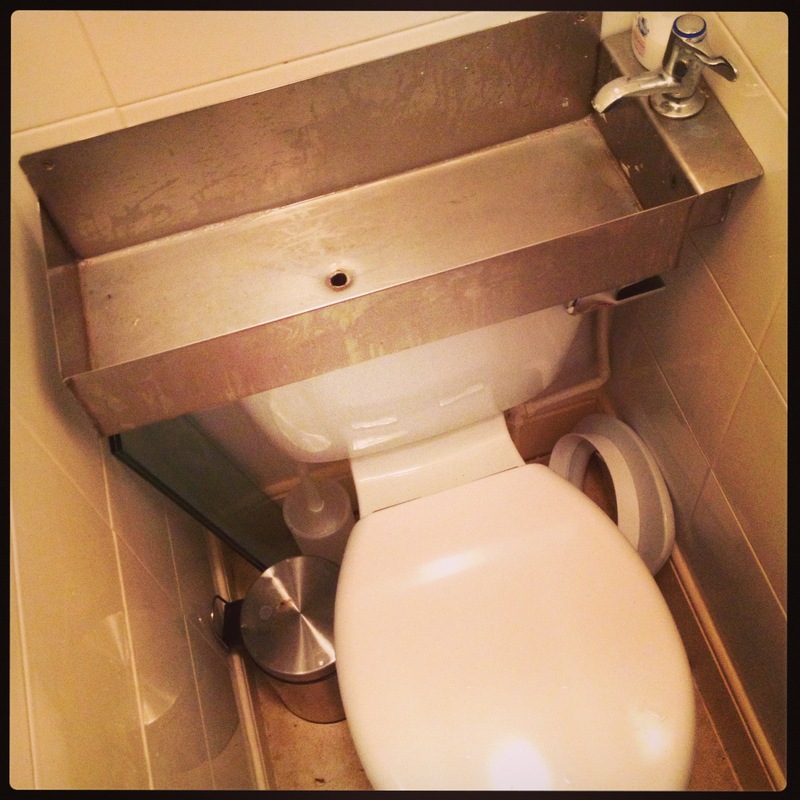 It isn’t surprising that the Germans are at the forefront of sanitation technology. During a visit to Frankfurt in 2011, I visited a restaurant bathroom that was so clean and futuristic I genuinely almost washed my hands in a urinal by accident. But what is a little surprising is the extent of this technology. A company called Pressalit make a toilet that uses lasers (yes, lasers – the things invented for healthcare, science and intergalatic spaceship combat) to determine whether you’ve left the seat up, while Brondell make a toilet which cleans you with a jet of warm water (presumably lovely if you’re expecting it, terrifying if you’re not). Kohler manufacture a toilet which, on cold midnight wee-wee trips will even warm your feet. In our household, if your feet are getting warm during a noctural toilet trip it means you’ve missed. This is North West England’s contribution to global sanitation innovation. A number of these manufacturers promise a ‘toilet spa’ experience, which is all well and good, but does rather sound like a euphemism for an aggressive public school bullying manouvere. Sandy steered commendably clear of one of our great hypocrisies in the Church – to criticise the rich, rather than recognise that on a global level that’s exactly who we are. If you earn the UK minimum wage, you’re already amongst the top 7% richest people in the world. Even my modest £50 throne from B&Q represents comparatively luxurious bottom-servicing… shockingly, most people on the planet do not have access to a flushing toilet. How powerful is the Church? 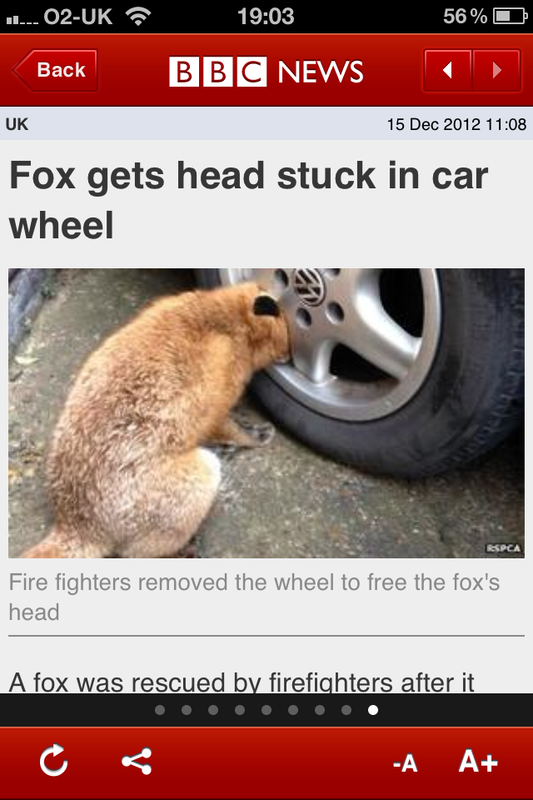 The reason the BBC publishes articles about foxes who get their heads stuck in car wheels and interview a children’s TV puppet on Newsnight is because they know that’s what people want to see. It’s the same reason that The X-Factor is back on (for about the millionth time) and that the Government conducted, like, six U-turns on taxation within the first three years of election. They know it’s what people want. It was made clear to them. And here’s the great opportunity that we so often miss – that the rich and powerful respond to public opinion. In our globalised, wi-fi, Cloudy world, if enough people want something then they often get it. I don’t know about anyone else, but it seems to me that the Church seems to vaguely resemble a timid teenager at times – pretty sure that it can do something, but waiting to be given permission to do so. Other times it seems to back away from doing things on the basis that ‘the world’ is in such staunch opposition to it that there’s no point, like a weary conspiracy theorist. Jesus did not wait for permission to attack poverty and suffering head-on. He saw opportunities, and he took them. He was practically industrial in his approach. Jesus showed people who he was through his action – there was no timidity there. That’s how he started this faith – with action. That’s how this faith grows. Jesus has given the Church permission to get on with changing the world. He gives that permission in glorious technicolour detail throughout the Gospels. So rather than criticise the $9000 toilet and pray endlessly for revival, let’s be careful about throwing the first stones, and instead see who else amongst your other 2.2bn Christian brothers and sisters are passionate about the cause you’re passionate about. If you want to save lives through providing clean drinking water, hygiene education and toilet services, please consider donating to amazing organisations like Oxfam and WaterAid. I found myself on a Virgin Atlantic flight to Miami recently, folded up into my economy-class seat like Ikea flat-pack furniture. As we took off from Heathrow (an airport that offers visitors to our country an authentic British experience – overcrowding, overpricing and people in uniform viewing you with suspicion), I discovered that my entertainment console thingie didn’t work. Console thingies which – by the way – tend to promise vast quantities of free entertainment. Singapore Airlines for example boast ’80 movies’. Which sounds great, except that half of them won’t be in your language or be for kids (or both). Of what remains, most will be depressing romps with Jennifer Lawrence growing increasingly miserable for two hours, or a mindless series of explosions connected by brief, intermittent images of Gerard Butler pulling his best mean face. This leaves approximately two movies per flight that are watchable. Quite a few of the console thingies didn’t work on the flight (provoking furious reactions from chubby, slightly-inebriated British tourists). But don’t forget, it’s only about ten years since all we got was one movie, on some postage stamp-sized screen two miles away at the front of the plane, which in order to see you had to perch yourself half on a seat-rest and half on the shoulder of another passenger. So I read a book. And all was well, until this happened. This, according to Virgin Atlantic, is ‘Afternoon Tea’. They lie. This, the ‘menu’ (a document differing from other menus I’ve seen in that it appeared broadly devoid of choice) informed me, proudly, was ‘Afternoon Tea’. I like Afternoon Tea. Afternoon Tea is important. Containing cream, sugar, meat and tea, it has all four major food groups. Afternoon Tea is about rainy days out at National Trust properties, trying to look interested in some 17th century collection of toilet roll holders before fighting to get served in an overcrowded cafe. Afternoon Tea is about greedily slathering cream and jam over giant fluffy scones, before the pleasure evaporates after the first few mouthfuls as the overload of sugar and fat dissolves your kidneys and sends your body into toxic shock. Afternoon Tea is about eating cucumber sandwiches (the only time you’ll eat cucumber sandwiches) and pretending that you’re late 19th century gentry. 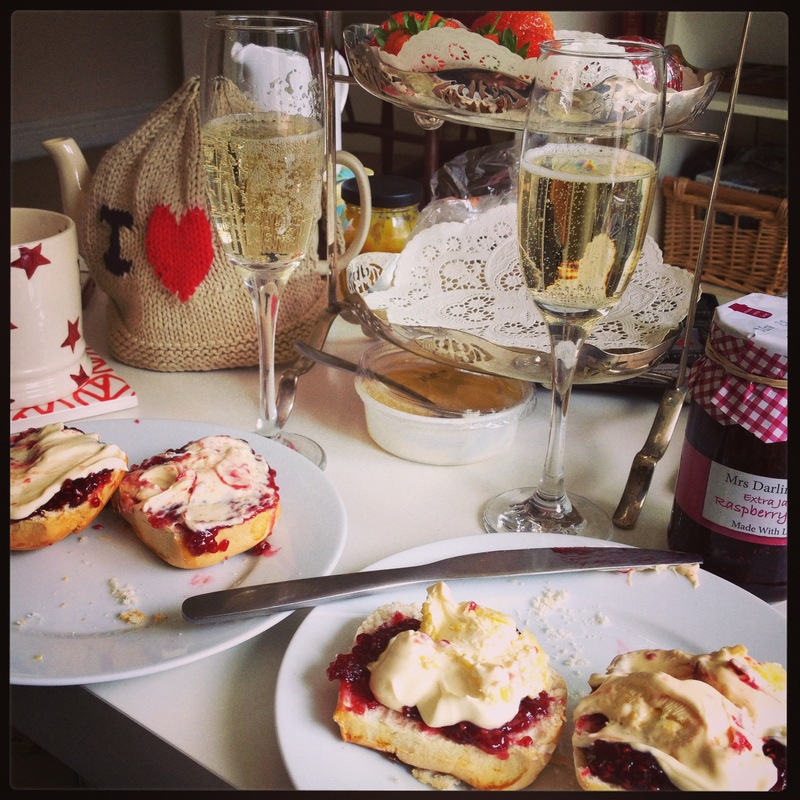 Afternoon Tea is not about a cheese sandwich and a cake the size of a golf ball. I don’t care if it’s served 30,000ft in the air with breathtaking vistas of a cloud-strewn landscape, it’s not Afternoon Tea. I don’t care if it’s the closest to clotted cream and delicate pink macaroons I’m going to get when I’m 350 miles off the coast of Florida, it’s not Afternoon Tea. It should have been called Not Quite Dinnertime Snack Thing Box. So Virgin Atlantic’s definition of ‘Afternoon Tea’ was sharply different to my own. This is not the only time I’ve been caught out by this sort of thing. I visited the US about fifteen years ago and found myself talking to a senior politician in the Midwest. We had a great chat, until it turned into a mortifying experience when I referred to a pet using a word which is quite normal for ‘domestic cat’ in the UK – but has a very different meaning in the US. Now THIS is afternoon tea. There’s an interesting difference between what someone calls a thing, what that thing actually is, and what you recognise by the name that the person has called the thing. All three can be subtly – or hugely – different. For example, I used to own a car that I described as a ‘gentleman’s sports coupe in midnight blue’. The manufacturer called it a ‘Ford Puma’. My friends, rather unkindly, called it a ‘purple hairdressers’ car’. Different country… to our own. To properly understand it, we have to look at it through those four lenses. We need to use ‘4D glasses’. What do Starbucks and the church have in common? Get you no gold, nor silver, nor brass in your purses, no wallet for your journey, neither two coats, nor shoes, nor staff: for the labourer is worthy of his food. In our culture, a ‘staff’ is normally a walking stick. So we would tend to see the staff as just another piece of equipment that Jesus is ruling out as part his general encouragement for the disciples to be reliant on God. But if you look into the background of this text, a couple of things are notable. Firstly, that the disciples are probably teenagers. The disciples of a rabbi are usually teenage boys, and substantially younger than their rabbi (Jesus is, apparently, about 30). So why would they need a walking stick? They’re young and fit. It doesn’t make sense. Secondly, we know that walking between towns and villages in this period (Israel, approximately AD30) is dangerous. 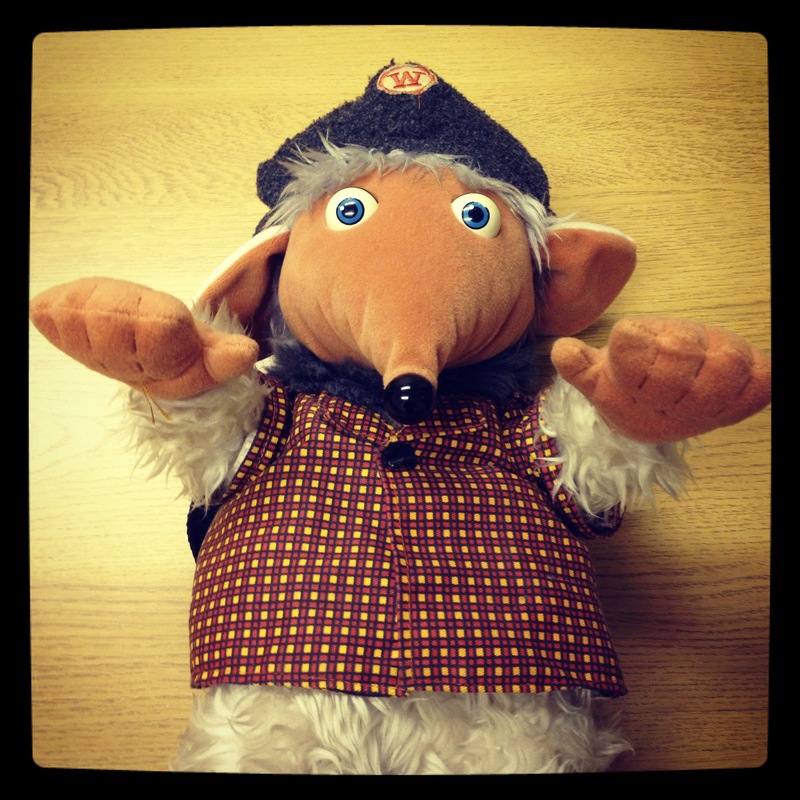 There are animals and criminals to contend with, and no CCTV or PCSOs. So the staff is not a walking stick – it’s a weapon. That’s right – Jesus is urging the disciples to go out and spread the message unarmed. He’s urging them to be physically defenceless. This has real implications for us as Christians, but it’s something which we lose if we don’t look through the 4D glasses. When we fail to properly allow for the context of a Bible text, we don’t just lose some meanings, we also create meanings that weren’t there in the first place. This can be extremely destructive, irresponsible and dangerous. One of the riskiest practices here is ‘proof-texting’ – extracting a particular verse from the Bible in support of a particular point. It’s usually intended as proof-positive that the person quoting it is ‘right’ about their opinion. We see this a lot at the moment in the church’s discussion about the future of marriage, and we saw it a lot twenty years ago in the Anglican church’s navel-gazing about whether women should be allowed to, you know, do stuff. Sometimes it’s fine, but a lot of the time it totally misunderstands what much of the Bible is. It’s not necessarily intended as a law book, however much the numbered chapters and verses make it look like one. Most texts within it are carefully-crafted, intricate, and situational. Without fully using the 4D glasses and understanding the nuances and context, you risk disrupting the lives of other people – Christian or not – and causing pain. The definition of ‘worship’ for early Christians was quite broad. It was not limited solely to ‘singing’, which is for many of us what we think of now by that word. Worship is about communing with God – and studying the Bible, and trying to understand what it’s really saying, is very much part of that. Rick Warren (FOR IT IS HE), offers a fantastic and clear approach in his Application Bridge. Have a look. So before we take the dramatic step of carrying out the directions of a particular verse from the Bible, or quoting it to each other, let’s try to make sure it means exactly what we think it does. Let’s research it, deeply and extensively. Look at it in context, try to understand where it comes to us from, geographically and culturally. 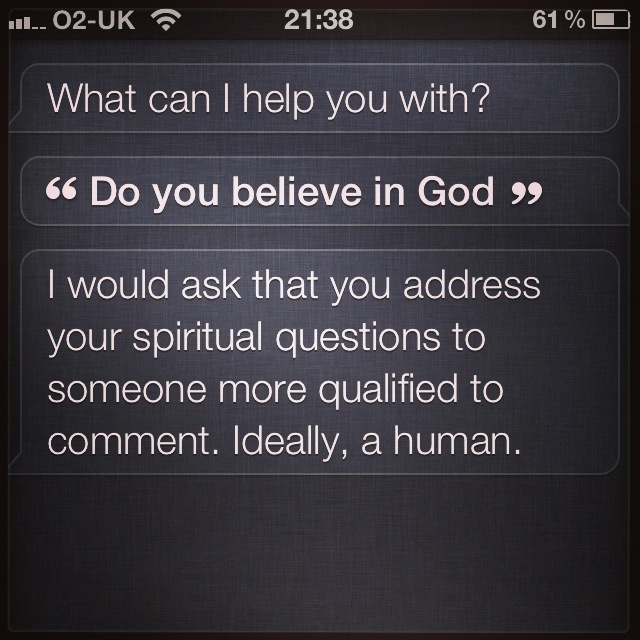 The Iphone’s ‘SIRI’ voice-activated personal assistant software gets quite testy if you ask it about God. “Have you tried turning yourself off and on again?” Asked John. “DON’T do that,” said Jesus. I never trust anybody who says they enjoyed their teenage years. For me, being a teenager represented a decade of pitched conflict against an army of cleverly-organised guerilla skin pimples, punctuated by brief moments of rejection by girls. Being a teenager meant trying to survive in a nuanced but brutal school hierachy which would make even the most complex Mafia family feel like an article in Hello! magazine. There were moments, however, of impressive ingenuity – my friends and I could never pass as 18, so we had to rely on the largest of our group to buy the beer and cigarettes for us on a Friday night. Years later, he would casually admit he had been overcharging us the whole time and had happily bought a bookcase-worth of albums from the profits. I think he’s a lawyer now. One of the things I found most confusing was the sudden ramp-up in personal responsibility that you go through when you hit adolescence. You’re forced to start thinking and developing for yourself, rather than relying on the constant support of parents or teachers. It ramped-up again at college, where you had to get a job (outrageous) or there’d be no beer for you. I got a job in telesales, signing people with credit cards up for a new credit card (“You seem to be in debt, would you like some more?”). But when we hit adolescence, the parent-child relationship increases the tempo of the child’s development. The transaction ceases to be tangible things like pocket money (‘allowances’ to our American friends), lifts in the car and ironed shirts, and instead we receive independence and growth as people. And God’s really clear in the Bible about who He expects us to be. Although we are to be dependent on Him, He doesn’t intend for us to be like babies clambering for their next feed. We are to develop into Christians who can stand on their own two feet and take what’s thrown at them in life. We’re to think, and make decisions, in line with what He’s given us in the Bible. Sometimes this can be extremely tough. It means making decisions and coping with things even if we feel like we’re on our own, because God doesn’t seem to be communicating with us. The quote from Jesus at the start of this article (which comes from Luke 11 and Matthew 7) does not imply that prayer will involve immediate answers or that we will receive exactly what we think we need, or ask for. 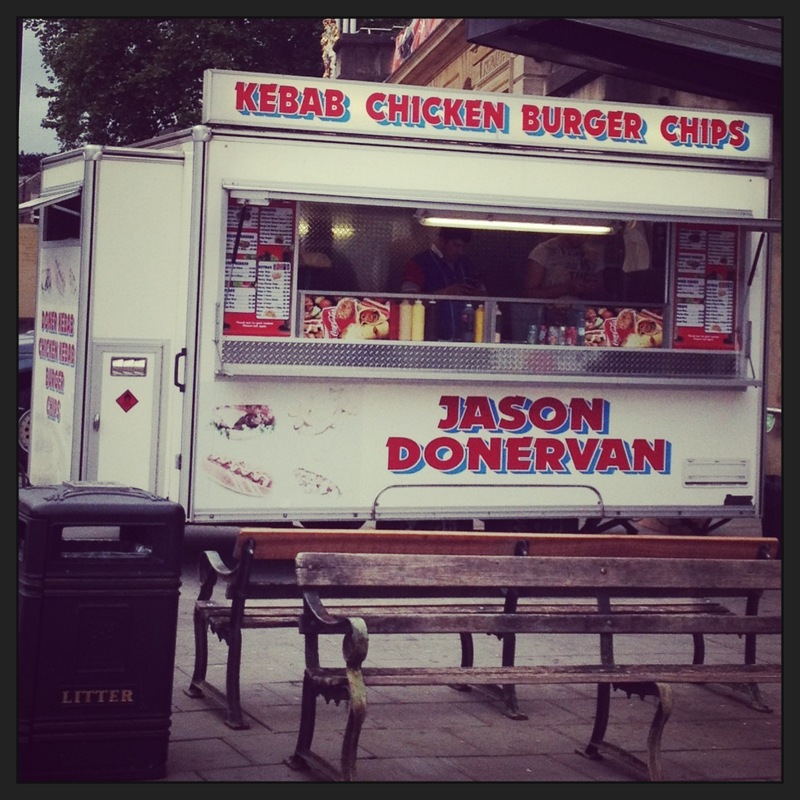 It’s not a magic ordering service. It promises instead that God will provide for our needs, which He knows better than us. And sometimes it’s just that which we need to cling to as we are compelled to act in spite of radio silence. So, let’s be careful about running too many diagnostic tests to work out why God isn’t speaking, like he’s a malfunctioning printer or a 1991 Ford Orion. I’m not convinced that God is a blackmailer or a petulant child, who refuses to speak to us because we haven’t (or have) done a certain thing. Instead, let’s think more broadly – and more like grown-ups. Let’s ensure we’re making time to ‘listen’ – that is, we know what to look out for and we’re looking for it, that we’re flexible in what we consider to be ‘answers’ to prayers, or try to find out if an answer might already exist in the Bible first. If nothing’s coming, let’s trust Him that we’re to operate on radio silence for a bit, and do it. Let’s be better – and less pimply – spiritual adolescents. I was in a cafe this morning and decided to have a smoothie. This is not as easy as it sounds if you’re British, because we’re not as able to ask for ludicrously-named drinks as other nationals. Maybe it’s the accent (something else it’s hard to do with an English accent in particular is complain – you inevitably sound like an Imperial Officer in Star Wars threatening an Ewok. So you overcompensate, become embarrassed, and end up sounding like Hugh Grant trying to ask someone out in a 1990s British rom-com). The smoothie in question was made of kiwi and pineapple. They had named it a ‘Naughty Crush’. This is a challenge I have experienced before. The parade of coffee shops up and down the High Street do not serve ‘small’ or ‘large’ coffees. They serve ‘grande’ or ‘medio’ frothalottahunkyfunkychunkycheekyccinos. Ordering cocktails also involves similar linguistic acrobatics. So I was disturbed – but not surprised – to discover that the perfectly-usable names of fruit on the menu had been replaced by Strawberry Kiss, Carribean Way and, incomprehensibly, Bananarama Llama Farmer. “Hi,” I said, determined to keep this engagement as sensible and silly-name-free as possible. I was not expecting this sly but subtle counter-attack. I took a moment to rally my thoughts, and then delivered my order with aplomb and free of silly names. “I’ll have one of those then, please,” I said. What’s going on with all this tomfoolery is an attempt to heighten our customer experience. It’s about suggestion. Give a smoothie an edgy, trendy name and you feel edgy and trendy. Make someone order a coffee in Italian and they connect to an imagined Italian coffee experience. If Bananarama Llama Farmer – which is pulverised banana – was named accurately it would be called Baby Food With A Straw. The church has, it seems, largely resisted the urge to re-name stuff to make it more attractive and influential (possibly because the church tends to largely resist everything).  In fact our own name – Christians – wasn’t even a brand we came up with, but probably originally a derisive term coined by non-Christians. Presumably we’d have been happy to keep calling ourselves Not-Necessarily-Jews-But-We-Do-Buy-Into-The-Old-Testament-But-In-Support-Of-Our-Recognition-That- Jesus-Is-The-Messiah…ians. At face value, this seems great. We’re authentic. 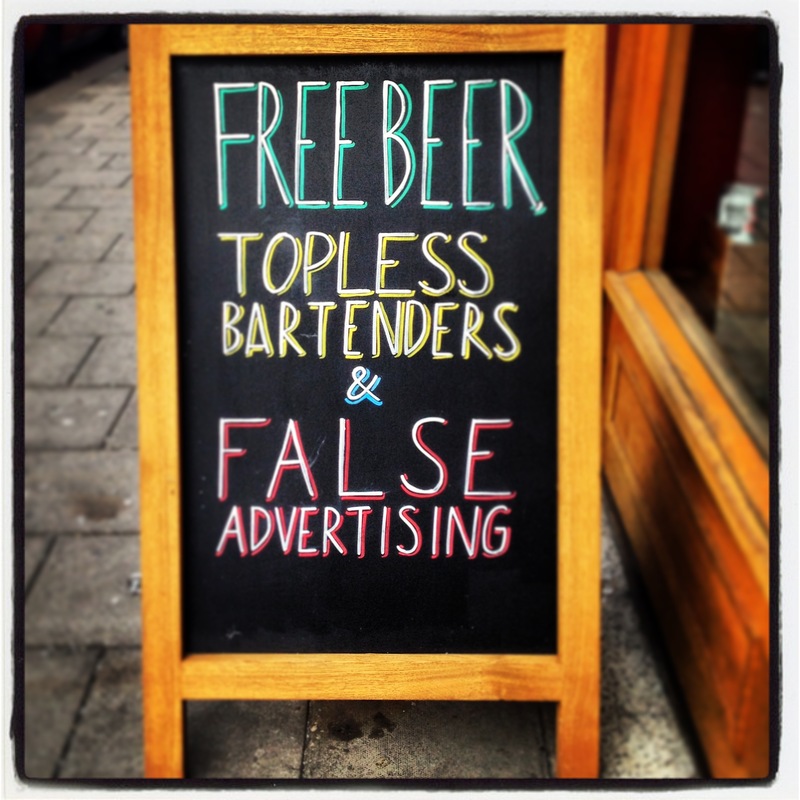 We don’t need advertising executives to tell people about Jesus, we tell it like it is, right? Yes, this is a real thing. What the branding world is on to is that the human mind cannot escape making associations between things it knows, and the new things it’s encountering. We short-cut. So the cafe wanted me to associate my Naughty Crush with a cheeky but pleasurable feeling – a deeper emotional connection than simply the taste of kiwis and pineapples. So when we talk about God, or Jesus, or church, the people we talk to will automatically interpret them in the context of how they’ve been previously presented. And if that portrayal was negative, then what you’re saying is going to get viewed within that framework. This blog has already ranted ad nauseam about the use of religious language, but there’s a couple of other things we need to watch out for. The first is how you portray Jesus when you talk about him. Look at how he portrayed himself. Study it. Emulate it. This blog would argue that Jesus portrayed himself as an open set of arms, with a social justice agenda, urging a focus on principles rather than religious dogma, who mainly saved his moral criticism for religious hypocrites. Is lecturing people on their sin (for example) and issuing them with a religious to-do list the best way to introduce Jesus? How does he come across when we contribute our viewpoints in public life? Do we get the balance right in presenting the full range of Jesus’ teachings and personality, or do we find ourselves focussing on certain aspects and risk misrepresenting him? The second is to recognise that when you talk about Jesus, you may be at cross-purposes (yeah, I know) with the person you’re talking to. You think of Jesus as forgiving and loving – but they may have heard nothing but hellfire and damnation their whole life. When you talk about Jesus as ‘forgiving’, you’re making the assumption that this carries the same collection of impressions and emotions for them as it does for you. A great way to short-circuit these two issues is to avoid talking in generalities completely. They just get filed in the person’s head under whatever category Jesus is sitting. It’s not always appropriate to talk like an international super-evangelist. We’re not spiritual troubleshooters either, using our negligible understanding of God’s plan for people’s lives to diagnose why they have trouble with the idea of God and giving them an action plan to fix it. Being a Christian is not like being a technician at Kwik-Fit. Instead, talk about your experience. Just tell your story. Tell others about your Jesus. Tell people about how you know him. About how you and he dealt with issues of forgiveness, love, peace, sin, belief, doubt and healing in your life. When you find yourself talking in generalities, that’s the time to wind it back down and get back to the personal level. Non-Christians are – contrary to how some of us think – not a hunting ground for religious scalps. This is not gaming season, and we don’t get extra credit in the exam of life for having ‘led someone to Christ’. All any one of us does is play a role (cameo or starring) in the story of that person and God. It might be a romantic comedy, a thriller, a tragedy, an adventure – who knows? But you get to choose what role you play. Will you confuse the hero, or help them? How will you describe the smoothie? Thoughts? Comments? Contact us! Well, I say us. It’s basically just me.